Believe it or not, it s that time of year again… “Back to School!” The commercials are on television, the magazines advertise school specials, the temperature has not cooled but it hopefully will soon, football teams are starting practice… all signs of a change of season and a change of attitude and activities! 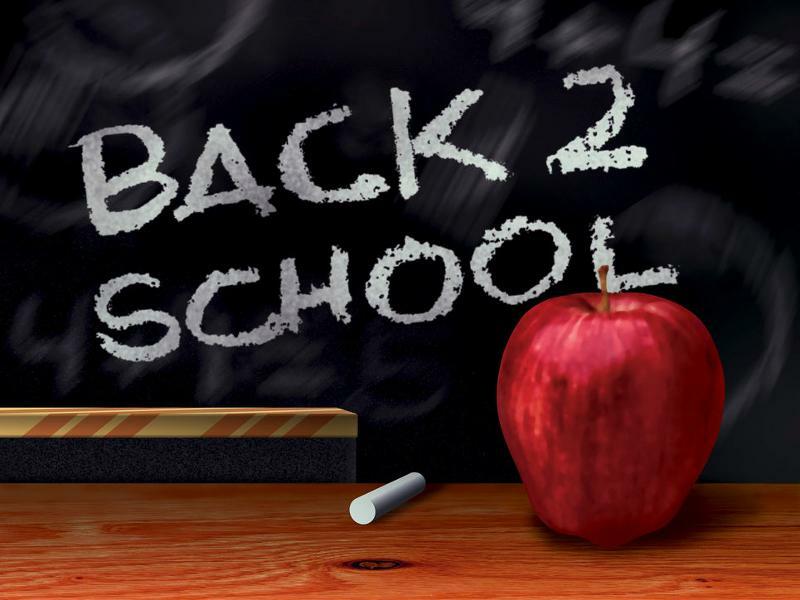 Back to school is a time for children to re-focus, get ready and re-commit… let’s join in those lessons and get “Back to Real Estate!” Re-new your commitment to your profession and your pocketbook and plan to have a powerful last half of the year! What has been working in your business? Determine your most productive lead generation source and figure out how to amp that up to be even more productive. Stop wasting time and effort in activities that do not provide any results. Now is a good time to catalog and organize your business year-to-date. Check in with all of your past clients and ask them how their new home is. Log all of their birthdays in a perpetual calendar so you can call them every year; record their purchase anniversary in that same perpetual calendar; update their contact information. Contact all of your co-op agents and thank them for doing business with you and create a mutual referral business with them. Stay in touch with all of the lenders, closing attorneys, inspectors, etc. with whom you have interacted and ask them who they know who can use your services. Analyze your market and notice the trends… what price points are moving? What school districts? What types of properties? Start working in those more profitable areas. Write up a trend report and place it on your website. Offer to give a report at your next Homeowner’s Association meeting. Position yourself to the public as an expert in your field. Look at the Maximum One training calendar (or ANY training calendar) and determine what new skills you can acquire or what old techniques you need to strengthen. Are you reading any books to support you in your career goals and aspirations? Do you have a mentor, coach, accountability partner to help you stay focused on the results you wish to achieve? “Back to School” is the perfect time to evaluate where you are in relation to your business plan. Our children embark on a new school year with new classes, new teachers and new subjects to learn. They make new friends, start new activities open new books and open themselves to new experiences. Learn the lessons from our school age children and let’s be as open to new experiences and opportunities in our businesses as they are in their school days! The bell is ringing and SCHOOL IS IN SESSION! Competing in the Olympics is arguably the ultimate goal and mark of achievement for an amateur athlete. The world watches these athletes compete among one another and each against his or her own inner goals. We cheer their successes, revel in their triumphs and commiserate with their defeats and near wins. Hundredths of a second mark the difference between Olympic gold & history books vs. forgotten competitors! These competitors train, compete, dream and work for many many years for their one moment in time to pursue the pinnacle of success in their athletic career – to stand on the podium with an Olympic medal around their neck. This hallmark of excellence is built upon many hours and years of training, practicing, competing, planning, refining, winning, losing, refining again, competing again, and repeating over and over and over! The Olympic Games bring people, athletes, supporters, dignitaries and observers from all over the world together for a common goal, a common purpose, a common experience – to witness “the thrill of victory and the agony of defeat!” Ordinary people achieving extraordinary results due to talent, skill, training, support, accountability, time spent on task, support and a little luck! As a real estate agent, you are very similar to an athlete competing in the Olympics every time you get a new Buyer or Seller! Every new client represents the opportunity to compete against others and yourself to achieve the hallmark of success within that task – to help your client buy or sell their home. Practice – how often do you go over your scripts/dialogues? Do you know your contracts inside & out? Do you know exactly what you are going to say to the 5 main objections you get in your business? Train – when was the last time you previewed property, studied the market statistics, went to a continuing education class for the topic rather than the hours? Compete – cleverly negotiate on behalf of your clients, go head-to-head vs. another agent for a listing! Plan – how often do you go over your business plan? re-evaluate? Study your 6 month, 1 year & 5 year goals? Challenge – do you approach bumps in the road as challenges to overcome as you move forward towards your goals or let the stress overwhelm you? Support – do your family and friends support you in your career and goals and daily activities or sabotage your efforts? Nutrition & Exercise – do you nourish your body and feed it what it needs to supply the energy needed to perform at the highest level? Input – What do you read? Listen to? Whose opinions do you value? Are these all moving you forward or holding you back? Rest – do you properly rest and take a break to keep yourself fresh & lively & excited to interact with new customers and agents every day? Do you take some time off? Do you spend time with your family/friends giving them your undivided attention that they deserve? Coaching – do you have a coach or mentor or partner or trusted advisor to assist you with new situations, clientele, scenarios? Goals – do you know what you want out of your real estate career? when you are going to retire? what your dreams and plans are or are you working merely to pay the bills? Win – do you celebrate with your clients, colleagues, family when you close each transaction, get a new listing? Mental Toughness – how much time do you spend on the mental side of your business? Confidence? Motivation? Concentration? Stress-management? Moving forward after disappointment or set-backs? When you watch the 2012 Summer Olympics from London this week (July 27 – August 12) remember that you too are an Olympic athlete in the game of real estate! 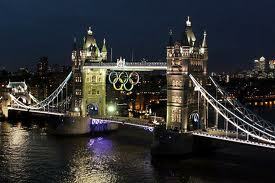 Revel in the glory, spectacle and achievement and know that you too can achieve Olympic Gold… over & over & over! Always pursue your excellence in every endeavor! Do you want more business? Are you doing the right things to connect to more people? Do you know who those people are and how to reach them? You’d better dive into the mobile revolution now! Your next client has cell phone or iPad in hand, drives by houses for sale and looks on their phone for information about the house… will they find you when searching for information? Create a mobile marketing strategy to reach more leads and convert them into more clients. 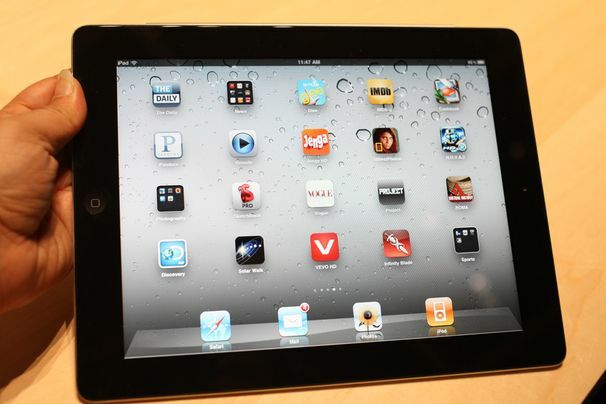 VoicePad – Voicepad’s mobile strategy generates buyer leads from mobile web, text & call capture! A Buyer drives by a house, calls the voicepad number on the sign rider to get information about the property & you get a text with the Buyer’s cell phone information & what house they like. They can also text for more information. Don’t have any listings… no problem! We have a window-cling sticker (like you get when you change your oil in your car) that you may purchase for 25 cents/sticker & give to your Buyers. Have them call THAT number instead of the one on the sign rider and YOU get the leads for ALL the houses they see when driving around town. Go to www.VoicePad.com for more information. As a Maximum One agent, you pay only $4.95/month. Pinterest – Pinterest is a social photo-sharing site that is now the fastest site to break 10 million unique visitors. Why aren’t you on Pinterest? Are you pinning photos of listings that link back to your website? Over 10 million people is a LOT of potential business! VisualTour – Easily create fabulous virtual tours through VisualTour. These tours have voice-overs or music and direct contact information on how the consumer can reach you. You can publish these tours on YouTube, in your email, through a QR code and in so many more ways! Go to www.VisualTour.com for more information. As a Maximum One agent, you pay only $10/month. Agent Website – This is the foundation of any of your marketing efforts today. You must have an online presence because that is where every consumer begins their search. If you have lead generation and lead capture on your site that will increase your business even more! Additionally, do you have a landing page… a one page enticement to get the public to take action to contact you? (At Maximum One, we will begin more classes on internet lead generation ncluding the effective use of landing pages!) This can be a traditional website or a blog or a photo site and whatever you choose (or you may have multiple online presences) keep it current, accurate, relevant and accessible by smart phone and tablet. Of your options, consider the free site you have through GaMLS and the corporate relationship we have for discounts through Reflect Resources and eWebengine. Text Message Marketing Plan – Do you have one? Many consumers communicate through texting. Create a few “Quick Texts” that you store in your texting program on your phone. Then when you get an inquiry about a home for sale, you can respond quickly and efficiently. Consider creating an initial response & then a couple of follow-ups. Fun Apps to Share – With more and more people purchasing & using smart phones & iPads & tablets, they are always looking for fun, interesting and useful apps to enhance their experience. When staying in touch with your past clients and sphere of influence, share the newest apps you have found. Share the ones I share in this email (& on the Maximum One Blog) every week! When you do this on a regular basis, your past clients will look forward to hearing from you and you remain at their top-of-mind awareness! Are you getting your share of clients from the internet? Do you know from where your business comes? Focus your online marketing on pictures of homes because THAT is what consumers look for FIRST!! Consumers also see your name on a sign and “Google” you or look you up on Facebook for more information about you. 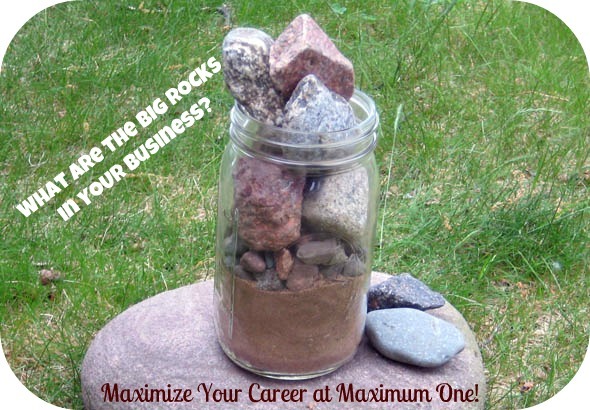 What Are the Big Rocks In Your Business? What are the Big Rocks of Your Business? The time management expert replied, “Really?” He reached under the table and pulled out a bucket of gravel. He dumped some gravel in and shook the jar causing pieces of gravel to work themselves down into the spaces between the big rocks. He then asked the group once more, “Is the jar full?” By this time the class was onto him. “Probably not,” one of them answered. “Good!” he replied. With apologies to the unknown author, we ask the question “What are the Big Rocks in your business?” By focusing on the business objectives-the Big Rocks-we can then layer on the appropriate strategies and tactics to accomplish your goals. 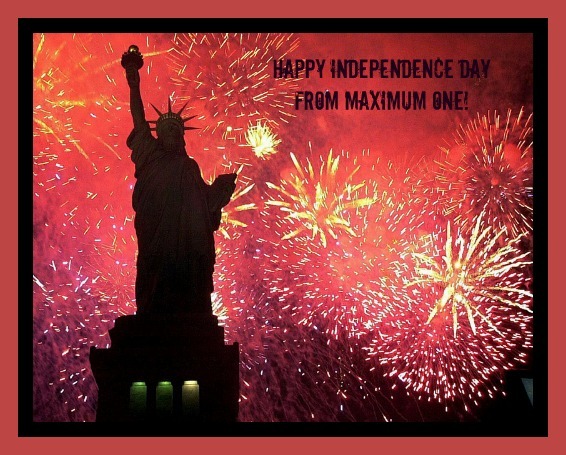 It is the 4th of July and we celebrate our Independence Day! This commemorates the signing of the Declaration of Independence on July 4, 1776 declaring our independence from Great Britain. On this holiday, reflect on your own independence you have by being in real estate. You chose to enter this career for a reason; what was it? Freedom over your own schedule? Freedom from a boss? The financial freedom you can experience? To be independent of anyone else? Perhaps you entered into this career for one of these reasons or for one totally unrelated. Regardless, simply by being in this fabulous profession, you have the opportunity to experience all of these freedoms! When you feel your stress level rising over something related to a transaction/lack of business/clients/co-op agents don’t throw your hands up and give up, find a way to find a solution! The solutions begin in your mind and are translated in your actions. Ask yourself specifically pointed questions to direct your mind to find the solutions you need to achieve the results you want! By asking yourself these types of questions, you will be more focused on discovering new and exciting ways to energize your business and approach the challenges that are part of real estate! The career you have chosen, that of real estate is the way for you to achieve your personal freedom and independence! You can celebrate any and every day you want… not just the 4th of July!